After initial money poured in on the Falcons and pushed this line from -3.5 to -5, late steam has pushed this spread back down to -4/ -4.5. I like Seattle in this spot for numerous reasons. Seattle is the more experienced team as far as the playoffs are concerned. This game is played in a dome, where I feel the Seahawks are better suited when playing on the road. Seattle comes into this game having outgained their last 6 opponents. There is a good possibility that running back C.J. Prosise plays here and Rawls is healthy also. This 1-2 combination could be huge to go along with Russell Wilson who is also 100% and can be effective outside of the pocket. C.J. Prosise had come on strong in 2 games in November before getting injured. He was huge for them out of the backfield as a receiver in a 31-24 victory at New England. The ‘Over’ is 8-0 in Seattle’s last 8 Playoff games when they have been an underdog and they are averaging about 28 ppg in these 8 games which gives me confidence they put up a big number here. While the Falcons have the NFL’s highest scoring offense, they continue to be a bad bet when laying points at home. They are 0-2 ATS in their 2 most recent Playoff games as a favorite, in 2013 and 2011. Going back to the 2013-14 season, the Falcons are 6-16 ATS as a home favorite. As a home favorite of 5 points or less, they are 1-10 ATS their last 11. 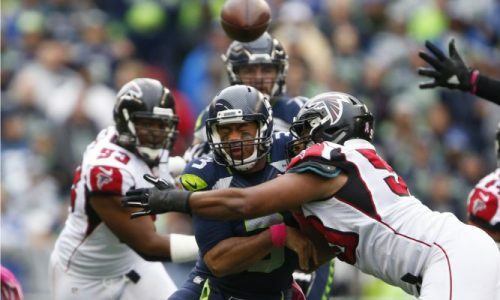 The Seahawks are 5-0 ATS their L5 games as a road dog of more than 3.5 points. Looking at the officiating crew for this game, Gene Steratore’s crew called the NFL’s lowest combined total of defensive-holding, illegal-contact and defensive-pass-interference penalties (22 in 15 games). This could be an edge for the Seahawks with Sherman and company allowed to be more physical against Julio Jones and the Falcons receivers. Brandon is 15-5 (75%) the last 3 years in the NFL Playoffs. He went 1-1 last weekend, missing on his big play. Saturday, Brandon has another BIG Play and he is 9-3 (75%) his L12 Games of the W/M/Y in the NFL. Join him for this Winner Saturday and let’s have a huge weekend!